Hi guys, welcome back to my blog! 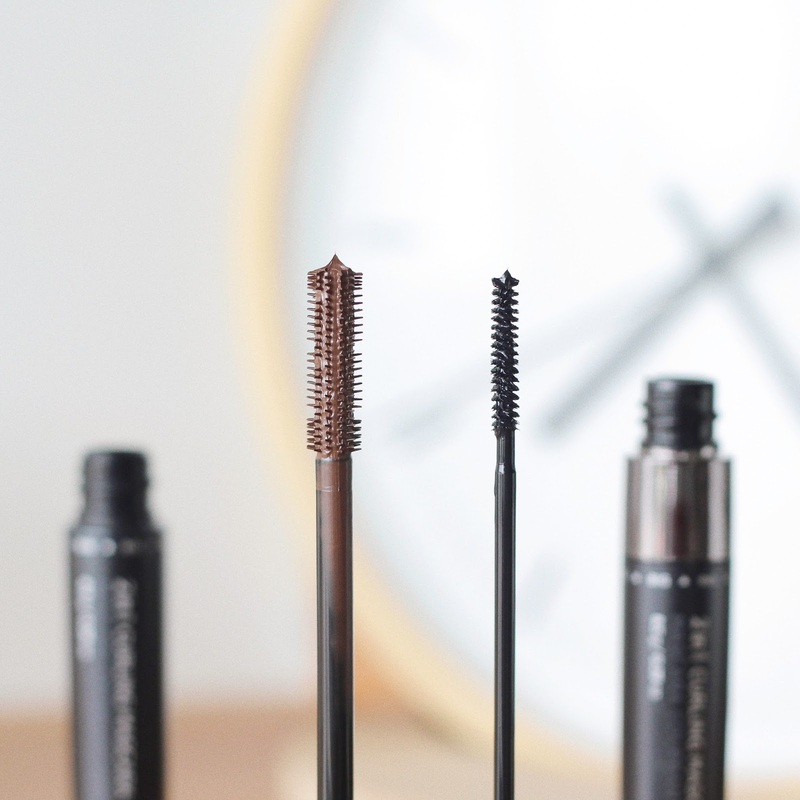 Today's post will be all about The Face Shop's 2-in-1 Curling Mascara! These mascaras costs RM80.45 and come in 2 shades, black and brown. The unique point about these mascaras is that each unit contains two wands inside! The big brush is designed to extend your top lashes and the super slim brush is designed to coat each lash precisely, even those that usually cannot be reached by a normal sized mascara. It says that you can use it without an eyelash curler, and although it does still curl and extend your lashes, using an eyelash curler will of course give you the best effect (and I never use mascara without curling my lashes first anyway haha). For the size, I can say that I really love the slim brush. It really captures each bottom lash and I even find that it works amazing on my top lashes! 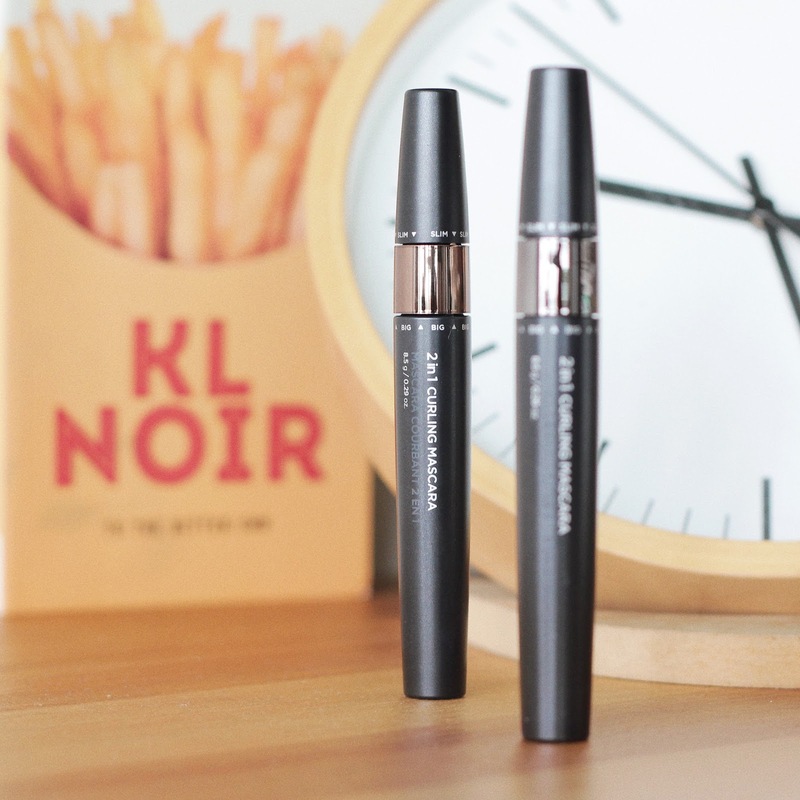 Although the big wand works amazing on my top lashes too, I just find myself reaching for the slim wand more. As for colour, the brown is very natural looking but I prefer only using it on my bottom lashes. A complete mascara kit review. I'm gonna get this one of this. Thanks for the video tutorial that you attached to the article. You're a total life saver! Your mascara review is really awesome and your YouTube video quality is so good. Thanks to share this beautiful Mascara review. It's really helpful for eye makeups.I believe makeup is an important part of women's life. I love to use this mascara for my eye and my favorite Liquid Matte Lipsticks for my lip. I can't imagine a single day without my makeups.